Stayput Fittings are designed for securing fabric to a flat surface using Stayput Shock Cord Loops in either horizontal or vertical tension applications. Applications can include sand pit covers, pool covers, boat deck fittings and cafe blinds. 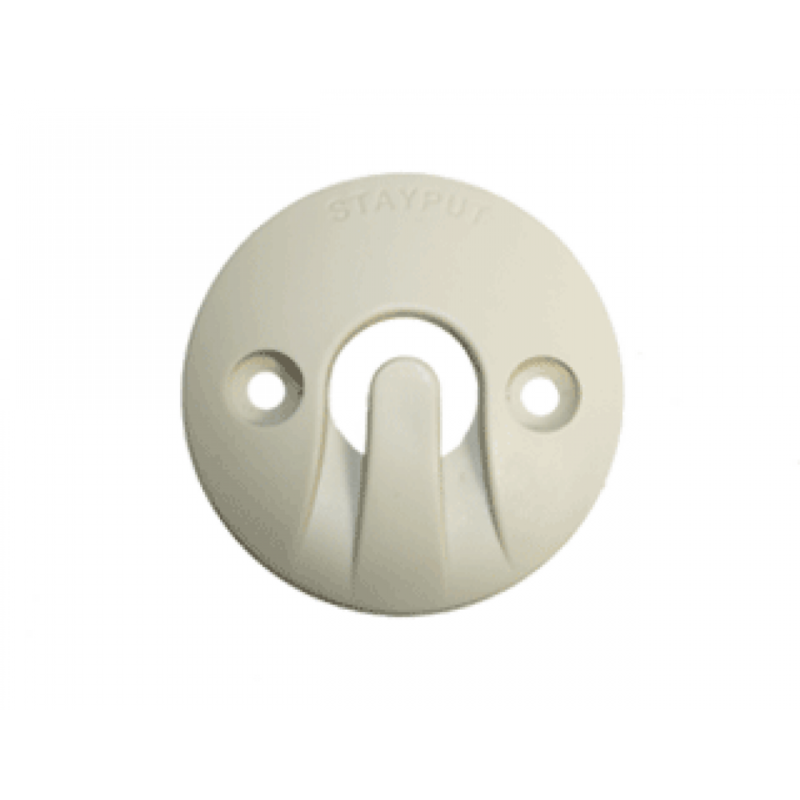 Stayput Dome Hooks are a safer option in foot traffic areas due to their profile design which minimises the risk of being a trip or snag hazard.